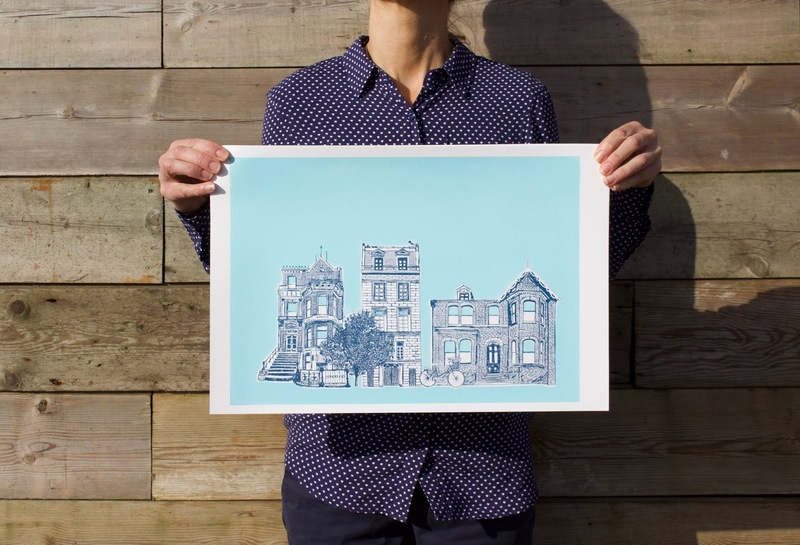 Join us in our fully equipped screen printing studio located in Cornwall surrounded by beautiful scenery. In our four day intensive screen printing course you will be introduced to emulsion screen printing and cut stencil work. 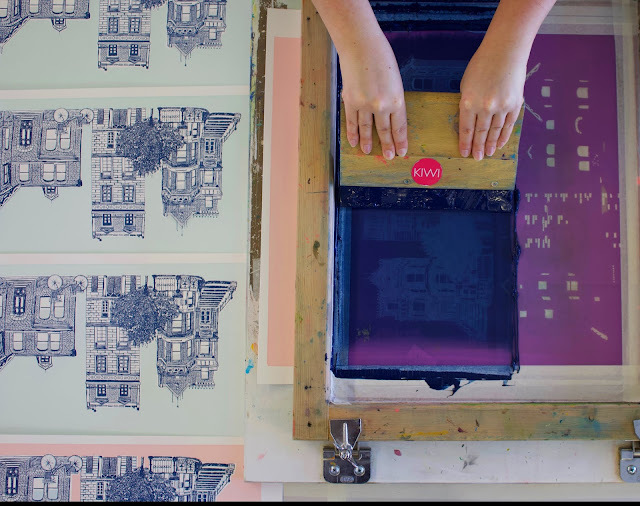 Combing both these skills will give you the opportunity to create a three colour screen print. The course welcomes beginners, college and university students, teachers and professionals. 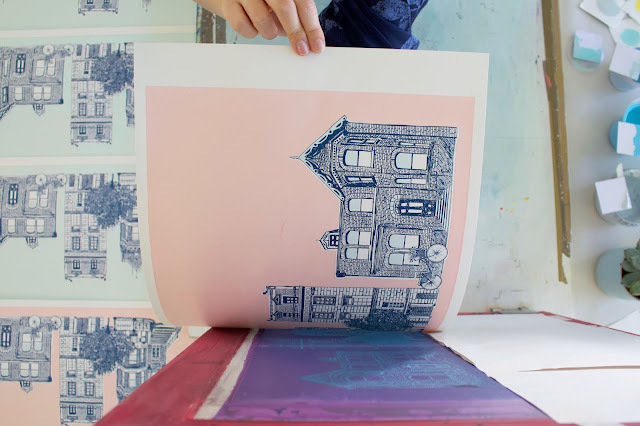 This is a great course to learn tricks and skills to print independently or for professionals to adapt the skill into their own work and broaden their ideas. Day 1. Studio introduction. You will learn how to create your own artwork using a range of drawing materials. We will show you examples, discuss the history of screen printing and demonstrate how to screen print. With support from tutors you will create your design work. Day 2. Finalising your design work with a demonstration of how to scan and edit, ready to expose onto a screen. You will be preparing your colours, paper and print area ready to kick start printing your edition. Day 3. Continuing screen printing your two colour design onto a range of papers. We will have a review break with lots of tea, reviewing your two colour editions and discussing developing your idea's further. Tutors will demonstrate how to push your design further through experimentation incorporating hand cut stencils. Day 4. Combining your cut stencil with your hand drawn emulsion designs you will be able to create a new edition of 2/3 colours prints. We will end the day with a group review, showcasing your editions and discussing your development. and support each individual to develop their ideas into print. 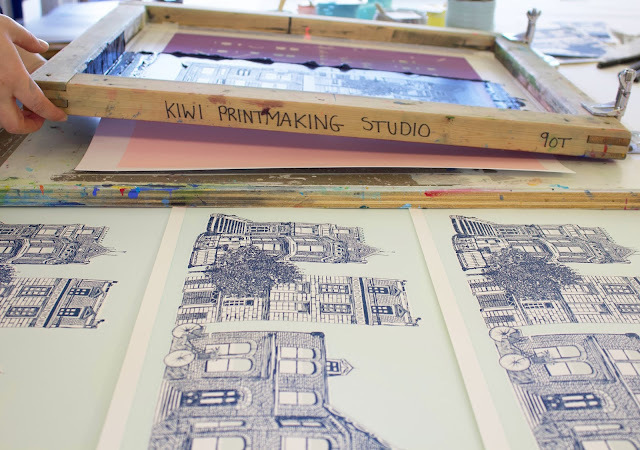 Kiwi Printmaking Studio is located at the end of a long drive at 56 Highfields. We are surrounded by beautiful fields, and have plenty of free car parking space outside the studio. Payment is required in full upon booking to secure your place. Upon booking we will send more information and payment details. This course is limited to 6 people only.